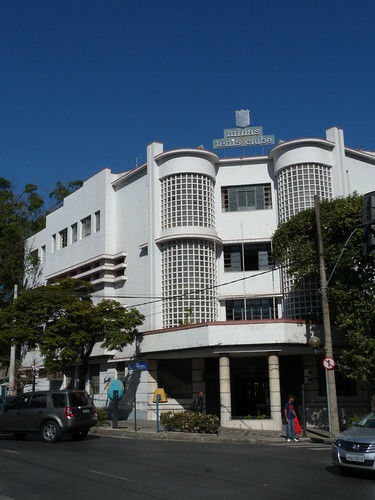 The Minas Tênis Clube was established in Belo Horizonte in 1935. 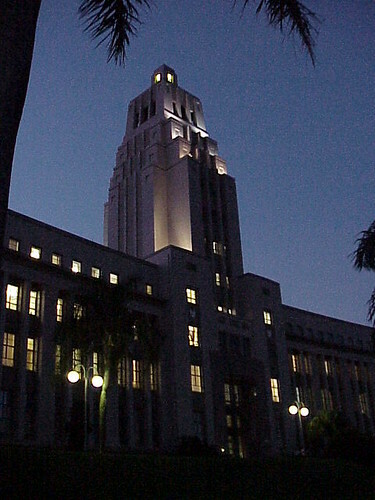 This is the Memorial Tower at the Howard College Campus at the University of KwaZulu-Natal in Durban. 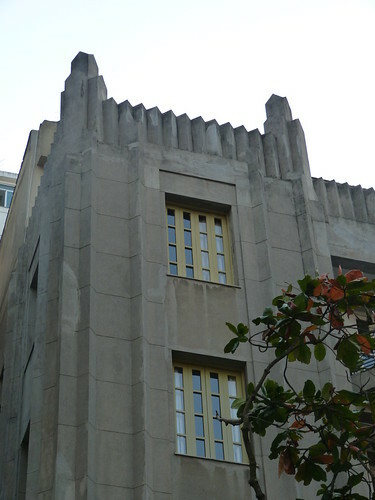 It was designed by Powers & Powers and built immediately after the Second World War in 1947. 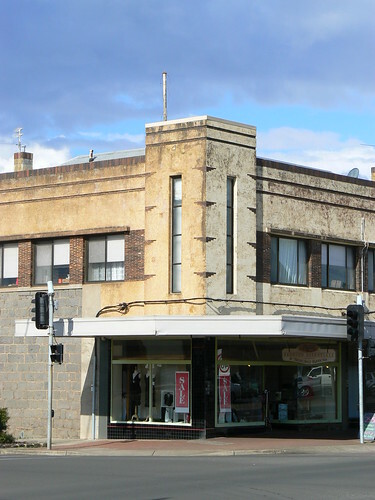 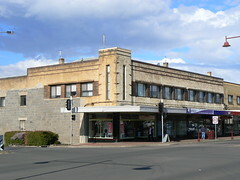 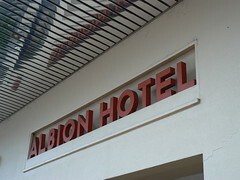 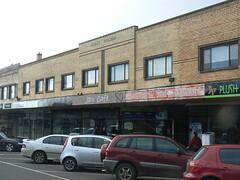 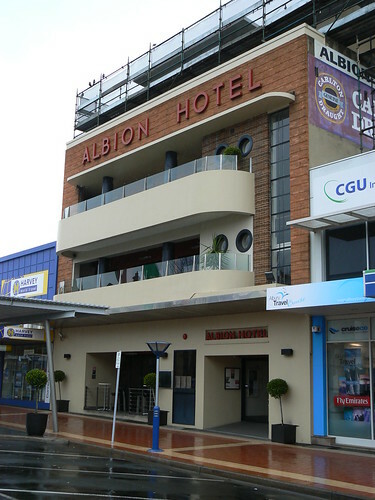 The Albion Hotel, in Dean Street, Albury was designed in 1941 by Frederick Morsby. 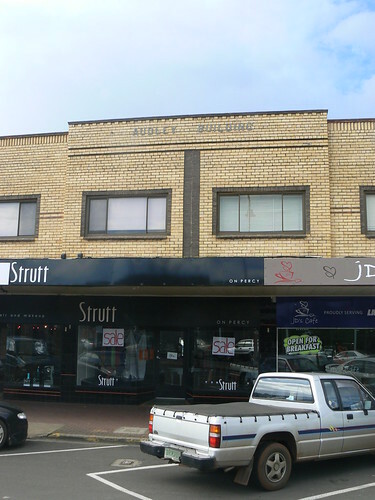 It has been modified since then, particularly at street level, and the scaffolding on the roof indicates that this pub is still undergoing change. 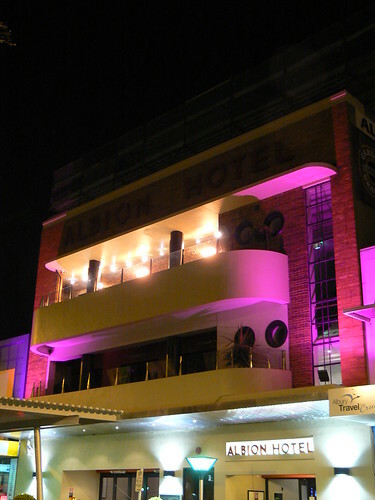 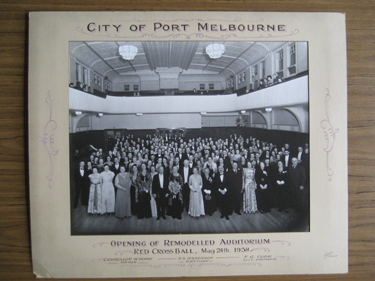 The Albion was one of the buildings spotlighted during the Albury - Delightfully Deco exhibition programme and I think it looked pretty in pink. 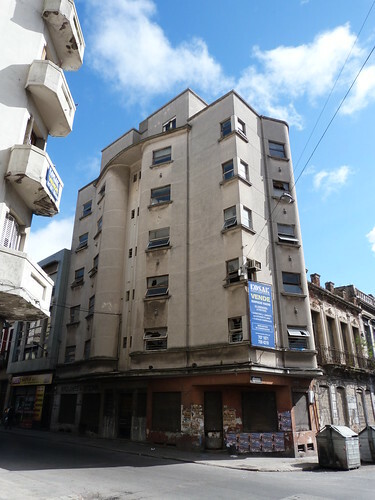 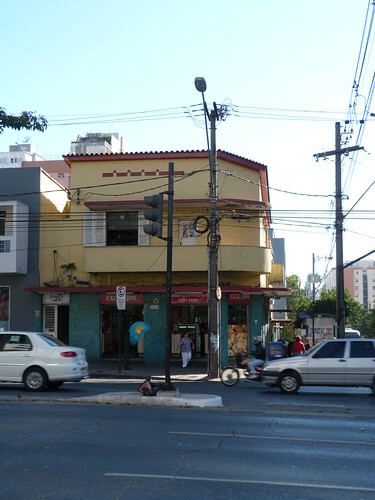 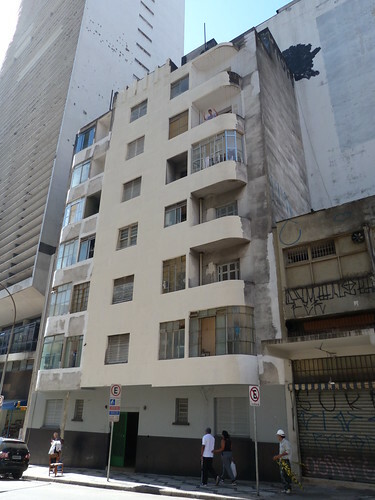 Granted, this modest shop with residential accommodation on the upper floor in Belo Horizonte doesn't look much in the photo above but the side view along Rua da Bahia is a different story altogether. 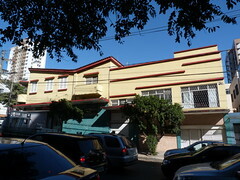 The beautiful sky and bright sunline help, of course, but look at the range of decorative lines and angles. 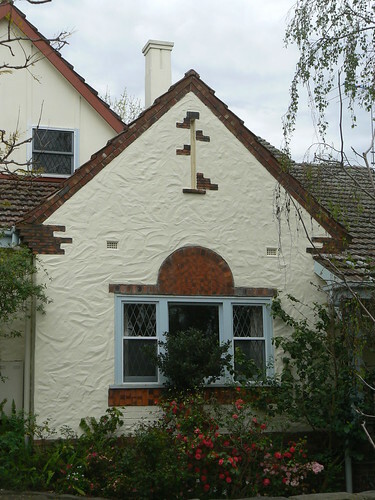 The 'V' in the roofline at is very interesting and offers a contrast to the flat section of the extension at the rear. 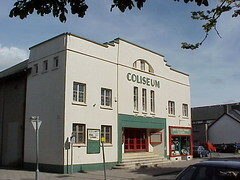 Red lines above and below the windows in the front (older?) 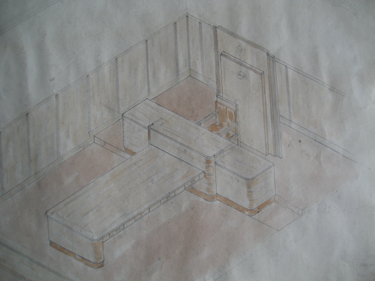 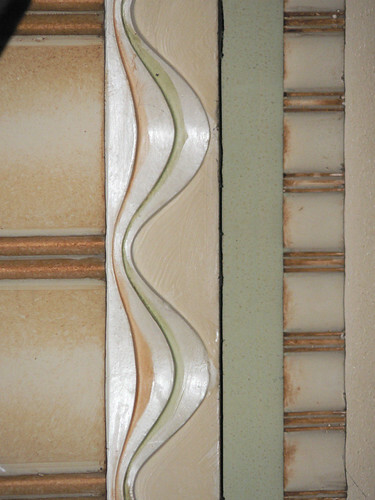 section and overlapping horizontal lines and bands on the rear section. 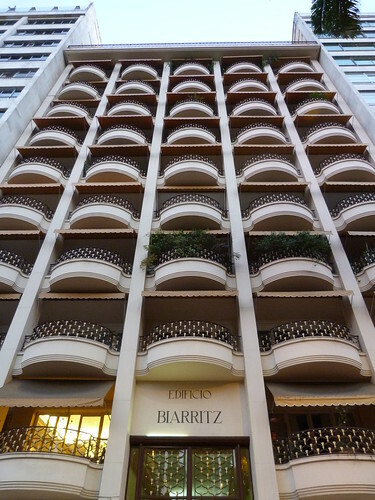 Look at the balconies. 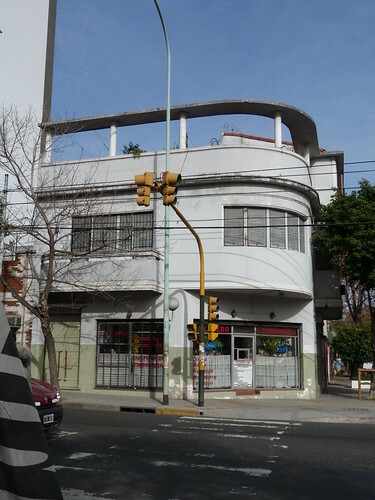 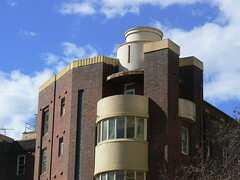 A small square balcony on the side and a rounded one on the corner at the front. 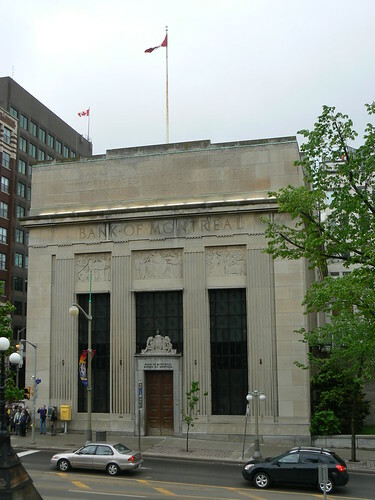 This is the former Bank of Montreal building across the road from the Parliament buildings in Ottawa. 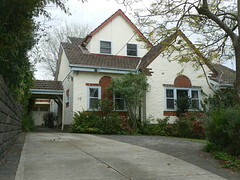 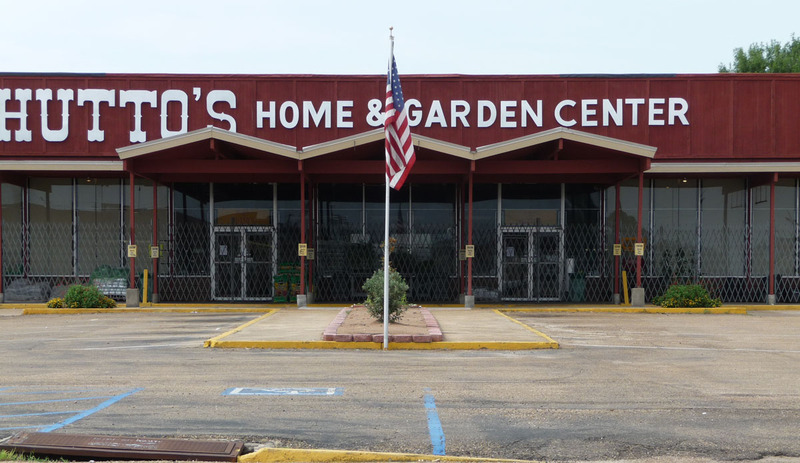 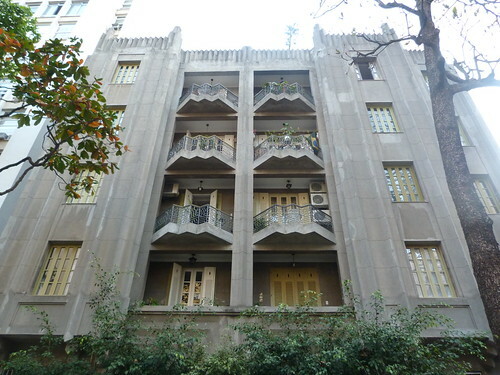 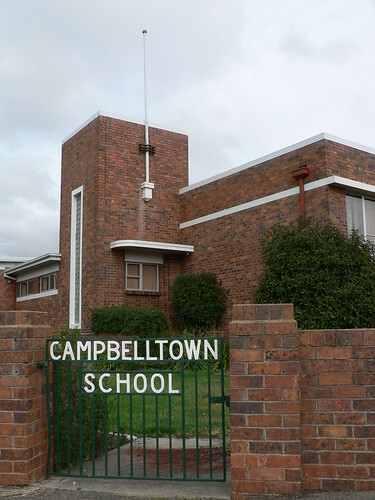 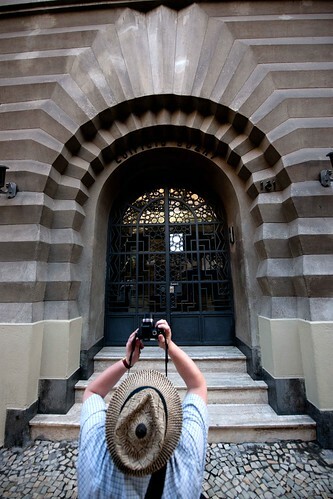 It was built in 1930 to designs by architect Ernest I Barott. 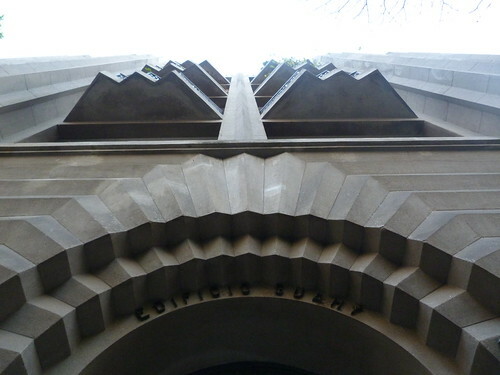 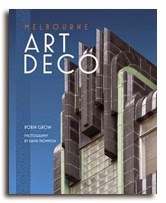 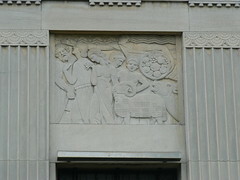 While the overall structure is quite classical the building is ringed by a series of wonderful deco friezes. 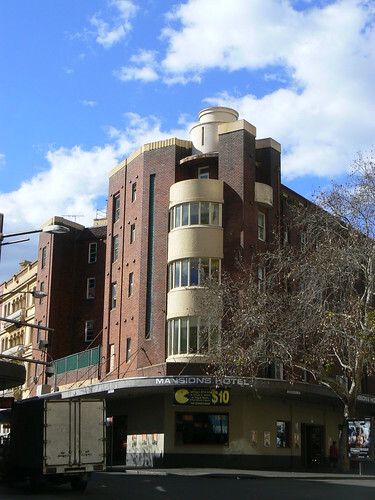 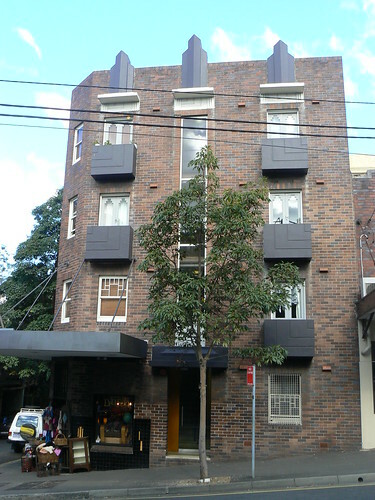 The roofline of the Mansions Hotel is Kings Cross, Sydney is a wonderful confection of rectangles and curves. 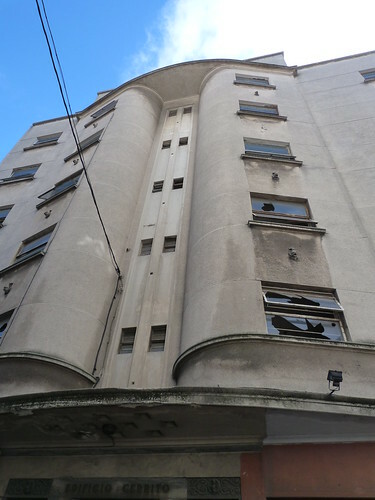 The circular tower right on top of the building with a vertical arrow slit is an interesting feature and it is lovely to see the top balconies still open. 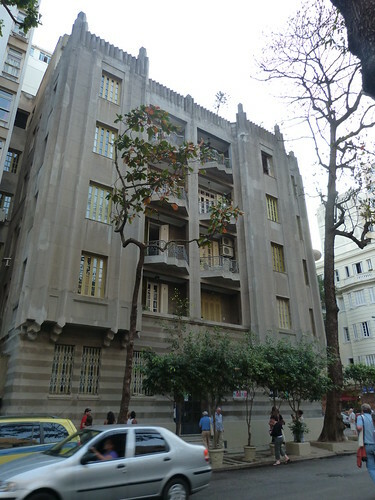 And note the typical use of glass bricks arranged in a vertical panel stretching most of the height of the building, presumably to provide light for the stairwell. 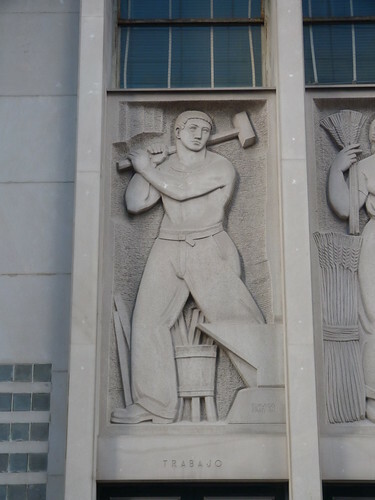 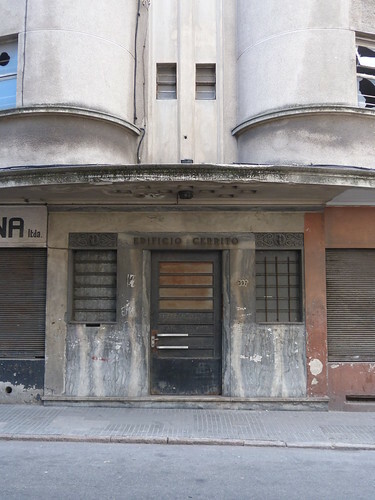 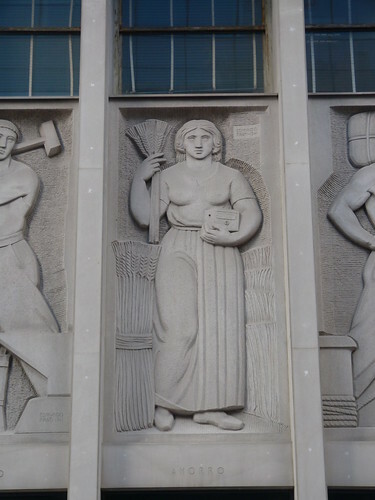 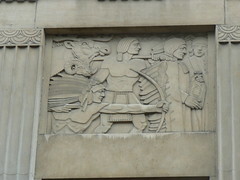 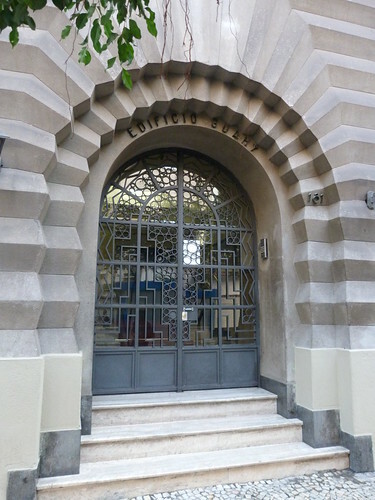 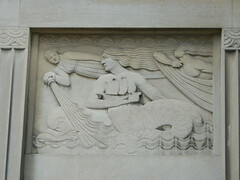 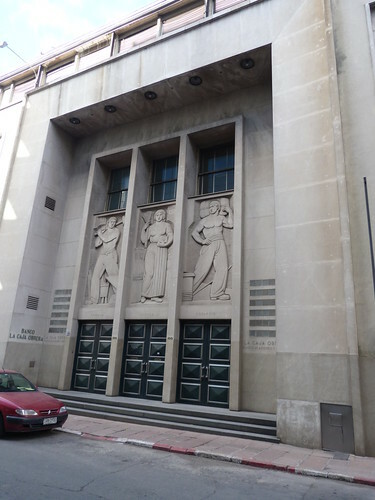 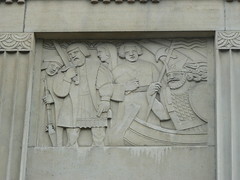 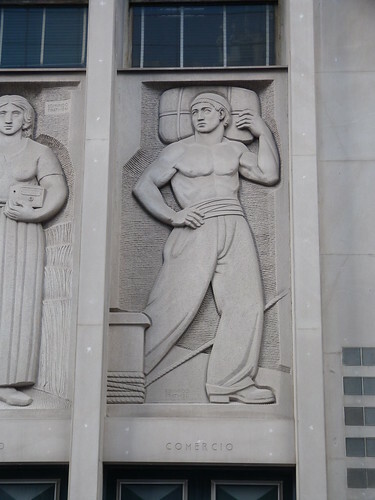 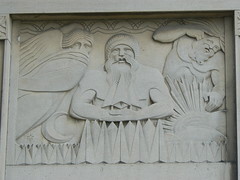 The Banco La Caja Obrera or Worker's Bank in the Ciudad Vieja, the old city, in Montevideo features these striking sculpted reliefs by Edmundo Prati above the doors. 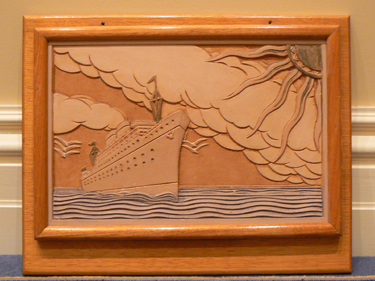 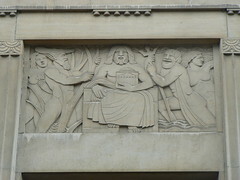 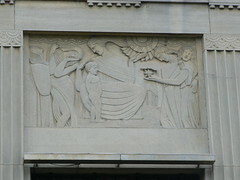 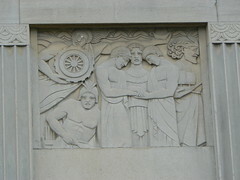 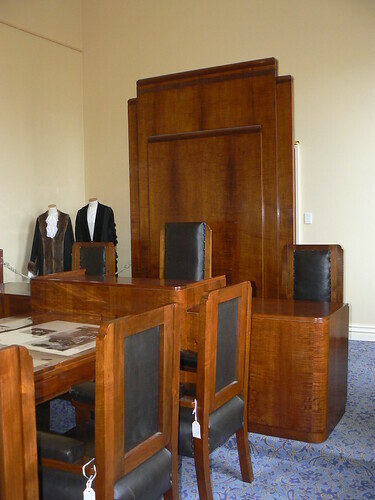 Each panel represents an aspect related to the ideals of the bank and bears Prati's name and the year 1941.